Wednesdays. 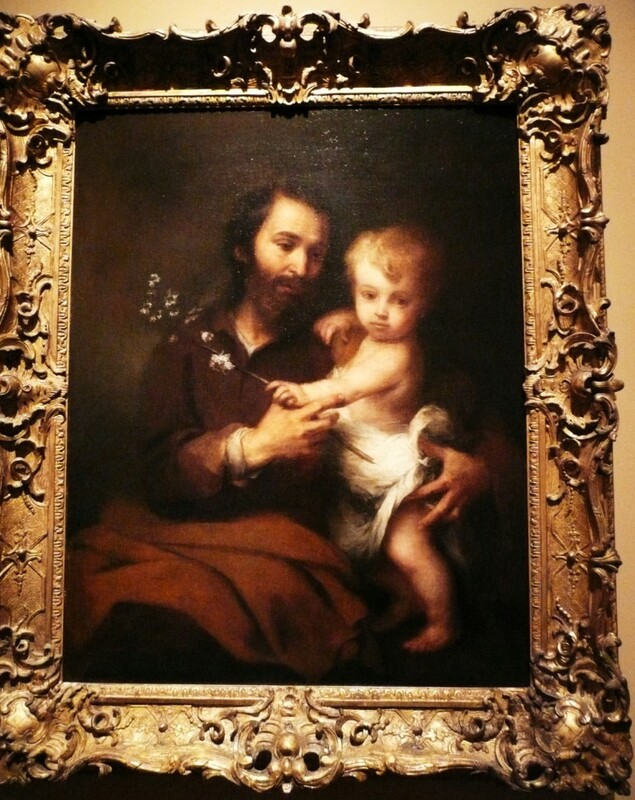 DEVOTION TO ST. JOSEPH, FOSTER-FATHER OF JESUS, SPOUSE OF THE BLESSED VIRGIN MARY, PATRON OF THE UNIVERSAL CHURCH. PATRON OF THE UNIVERSAL CHURCH. After the Blessed Virgin Mary, I am convinced that St. Joseph is the greatest saint for with Our Lady, they were the persons who loved Our Lord Jesus Christ more and had a profound and inseparable bond with Him. This is the reason why we Catholics must always take him into account in our personal dealings with Jesus for St. Joseph has a lot to teach us and will help us how to talk, deal and love Our Lord Jesus Christ and Our Lady as well, in the same manner by which he did during his earthly life. True enough, St. Josemaria call St. Joseph as the “Master of Interior life”, that is, the divine life of the soul in its dealings with God. Let us then go to St. Joseph –“Ite ad Ioseph!− Spouse of the Virgin Mary, Foster father of Our Lord Jesus Christ, Patron of the Universal Church so that through his intercession, our interior life would reach the heights of love and self-giving to God in the daily ordinary duties of family, work and social life. Let us also prepare ourselves for his forthcoming feast on March 19 praying for the fathers in the world, for all the priests and seminarians and for the Universal Church. Remember, O most chaste spouse of the Virgin Mary, that never was it known that any who implored your help and sought your intercession was left unaided. Inspired by this confidence in your power, I fly unto you and beg your protection. Despise not, O foster-father of the Redeemer, my humble petition but in your bounty hear and answer me. Amen. Cordially inviting you to like and follow www.facebook.com/CatholicsstrivingforHoliness and share our posts to help more people in their Christian faith and life. Thanks! Fr. Rolly A.
N.B. Note that the designation of Wednesday is arbitrary, considering that in our previous posts, we have dedicated the other days of the week to a particular devotion based on biblical and theological reasons. Coming up next, Mondays: Devotion to the Holy Souls in Purgatory. PRAYERS FOR POPE FRANCIS’ RETREAT. TO ALL THE WOMEN IN THE WORLD: THANK YOU! HAPPY INTERNATIONAL WOMEN’S DAY!